Why See National Symphony Orchestra - Brahms, Schumann, and Liszt? 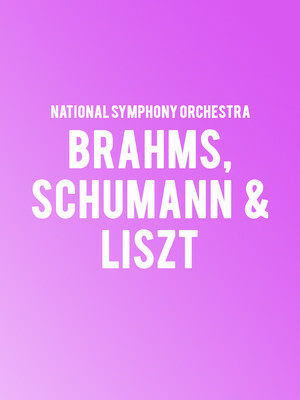 Three masters come together in this evening of atmospheric and stirring music as the National Symphony Orchestra perform Brahms, Schumann and Listz. From the tragedy of Brahms to the light piano concerto of Schumann to the dark and twisted symphony by Liszt, there is something for everyone in this exciting collection. The NSO will be joined by Nicholas Angleich, a supreme talent in the art of the violin. His mastery over his instrument will be one solo not to miss! Sound good to you? 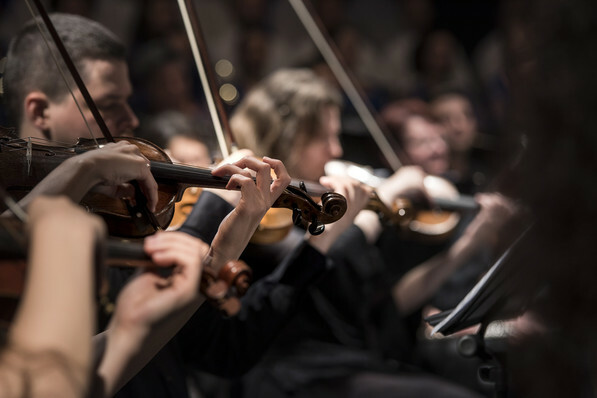 Share this page on social media and let your friends know about National Symphony Orchestra - Brahms, Schumann, and Liszt at Kennedy Center Concert Hall. Please note: The term Kennedy Center Concert Hall and/or National Symphony Orchestra - Brahms, Schumann, and Liszt as well as all associated graphics, logos, and/or other trademarks, tradenames or copyrights are the property of the Kennedy Center Concert Hall and/or National Symphony Orchestra - Brahms, Schumann, and Liszt and are used herein for factual descriptive purposes only. We are in no way associated with or authorized by the Kennedy Center Concert Hall and/or National Symphony Orchestra - Brahms, Schumann, and Liszt and neither that entity nor any of its affiliates have licensed or endorsed us to sell tickets, goods and or services in conjunction with their events.